Today’s Education in the media blog looks at the benefits of a strong and high quality early years education for children’s development. 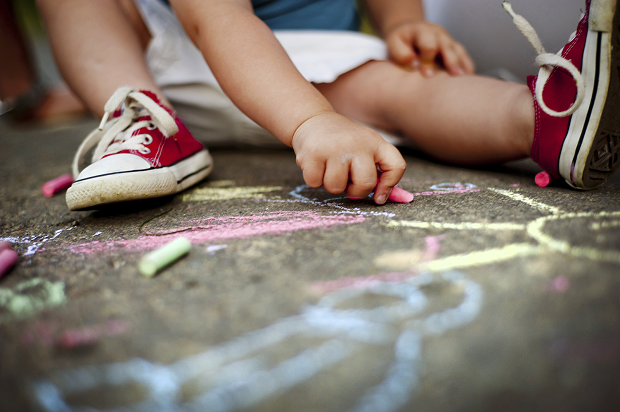 Today, Tuesday 2 October, Sorbonne University in Paris released the findings of its research into the impact of nurseries on children’s social skills and development. This was covered by the Telegraph, the Times, the Sun and the i. The study of 1,400 children found that those who attended nursery rather than staying at home tended to develop better social skills and behaviours, and that this could also prevent them from developing emotional difficulties later on. We understand the importance of early years education, and our social mobility action plan, Unlocking Talent, Fulfilling Potential sets a clear direction for all those who have a part to play, including those responsible for children’s centres. We want every child to have the best start in life which is why we are spending more than any other government on supporting early years education and childcare – around £6 billion a year by 2020. The Education Secretary has set out that it is not acceptable that 28% of children finish their reception year without the early communication and reading skills that they need to thrive and his ambition is to cut that number in half over the next 10 years. As part of this in April we announced two new schemes to help parents improve their children’s early language and literacy skills. Alongside this, an £8.5million programme has opened for local authorities that will fund projects to improve early language and literacy development for disadvantaged children. There are 1.3million children benefitting from some form of government funded early education and a recent report commissioned by the department showed the benefits of formal childcare on the early social and emotional skills of two to four year olds. Read more about what we are doing to close the word gap before children start school here.